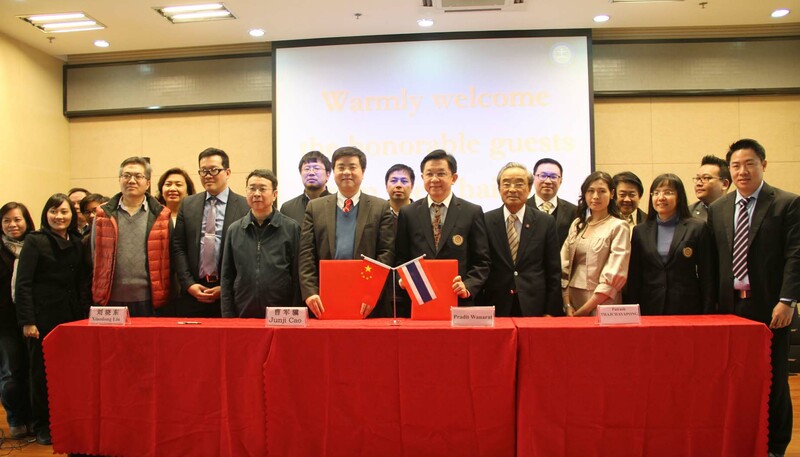 The delegation of National Institute of Development Administration (NIDA), HRH’s Initiative Projects which from National Science and Technology Development Agency (NSTDA) and Thai Consulate General in Xi’an visited the IEECAS on January 14, 2015. 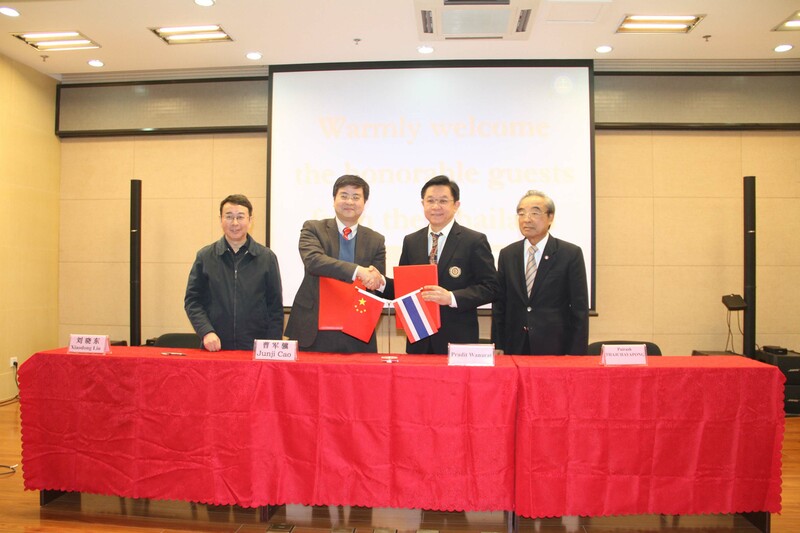 During the signing ceremony, researcher Cao Junji gave them a warm welcome and had a brief introduction about IEECAS. The president of NIDA, vice professor Pradit Wanarat, who had a deep impression about this visit and thought highly of the scientific contribution of IEECAS, believed that this MOU would bring new opportunities and prospects between two institutes as well as China and Thailand. Prof. Pairash Thajchayapong, the vice chairman and committee of Information Technology Project under the Initiative of H.R.H. Princess Maha Chakri Sirindhorn introduce the projects initiated by Princess especially her contribution to Sino-Thailand and CAS-Thailand scientific research collaboration. On behalf of HRH’s initiative projects, he showed that the collaboration between IECAS and NIDA will get great supported. After the signing ceremony, the vice professor Siwatt Pongpiachan had an effective communication with other researchers and showed the great confidence in their cooperation in the future.